Office Insurance: What Does it Cover and Does my Business Need It? Whether you run a startup or a multi-branch corporation, you need to put pillars in place to protect the longevity of your operation. Working with Welsh businesses day-in, day-out, we at Towergate Insurance have defined a huge appetite for Office Insurance; an insurance product that supports your business against the risks it needs to. While there are some standard features that we would recommend to any business, here at Towergate Insurance we are hugely focused on building bespoke solutions, covering businesses based on their industry, premises, staff numbers and assets. 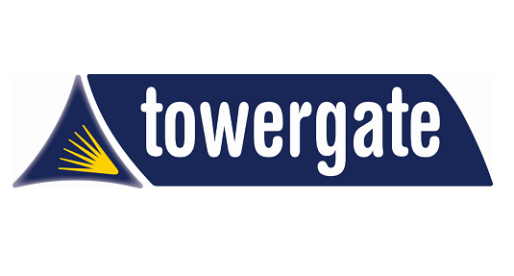 Towergate Insurance focus on building bespoke solutions, getting to know our customers before recommending insurance cover to suit their industry, premises, staff numbers and assets. Public liability insurance – Though you will go to great lengths to ensure your office is a safe place, accidents inevitably happen. Public liability insurance covers loss, damage or injury to a third party on your premises. So, if a client falls on your premises and registers a claim against you, your Public Liability policy will pay out if an at-fault claim was lodged. Employer’s Liability insurance – As a business owner you are equally as responsible for the safety of your staff; something an Employer’s Liability policy will help you with. By investing in an Employer’s Liability policy, you ensure you have the funds at hand to compensate a member of your staff for injury or damage. It also worth noting that the legal minimum cover is £5 million. Office Buildings insurance – A buildings Insurance policy is only the responsibility of the person that owns the commercial property. So, if you are a tenant, this will be a matter your Landlord would deal with. In essence, Office Buildings insurance covers you against the cost of repairing damage to the structure of your office. Business interruption – One thing that can harm your business more than anything else is interruption, deterring you and your team from your day-to-day duties. This is where Business Interruption cover can help; covering your business expenses if you are unable to continue trading from your property. This includes costs such as rent, overheads, wages and other expenses to keep your business operating. Office contents insurance – Office Contents insurance covers items not fixed in your office building. These are things such as desks, computers, cabinets; photocopiers etc. At Towergate we take our time to understand your unique business and its specific requirements. We deal face-to-face with large corporations, organisations and SME’s with a local, regional, national and international footprint; businesses with complex needs requiring insurance programmes that are rarely a single product. No matter what the size of your organisation, we will always adopt the same process to safeguard your business. We will sit down and discuss your company’s requirements with whoever we need to; the MD, the owner, the Finance Director; Health & Safety advisors; the company secretary, in-house Risk Manager or a combination of Senior Directors. We truly believe in providing the personal touch, providing both local and national service. That’s why we have over 80 locations across the UK. Our proposition to you is underpinned by strong relationships with leading insurance partners, who in turn appreciate that we place our clients, at the centre of everything we do. Having formed a historical presence in Wales, our Welsh offices continue to trade in Cardiff, Swansea, Barry, Bridgend, Tonypandy, Bargoed, Haverfordwest and Ammanford and form part of the Towergate Group. Formerly trading as Antur Insurance Services, CCV Cardiff, Morgan Brokers, Motaquote and Underwood Insurance Brokers our teams have a local knowledge and understanding of Welsh business practises. As part of the Towergate Group, these business are backed by the one of the largest corporate and SME insurance brokers in the UK, which not only allows access to the general insurance market and Lloyds, but also to a number of bespoke and unique options, which can provide specific benefits for our clients.